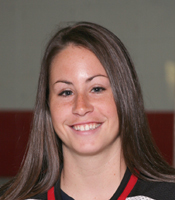 LAKE FOREST, Ill. - The 2006-07 All-Northern Collegiate Hockey Association Teams and the league’s All-Academic Team were released Friday (March 2) and Lake Forest College had four players on each list, including a program-best three First Team All-NCHA selections. Junior forward Courtney DeHoey (Chatham, Ont./Bluewater Jr. Hawks) was named to the league’s First Team after earning honorable mention honors last year. DeHoey enters this weekend’s (March 2-3) NCHA O’Brien Cup Playoffs with a team-high 27 points on 13 goals and 14 assists. She scored 10 goals during the association’s 15-game schedule, three more than any other player in the league. Junior defenseman Allison Rushing (Seattle, Wash./Seattle Admirals) was a First Team choice for the second year in a row. She leads the team’s defense with seven goals, a dozen assists, and 19 points. She tied for the conference lead with nine assists during league play and ranked alone in first with nine power play points. In addition, her 13 points during NCHA games were five more than the next defenseman. 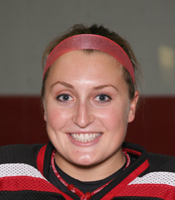 Senior goaltender Sally Bevis (Huntington, N.Y./North American Hockey Academy) also earned First Team honors for the second straight season after being an honorable mention selection as a sophomore. She is currently ranked second in the nation with a .941 save percentage on the season and she posted the same percentage during her eight league games to rank third in the conference. 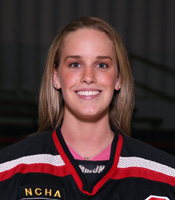 Junior forward Laura Wilson (Corunna, Ont./Sarnia Sting) was an NCHA Honorable Mention selection for the third year in a row. Wilson enters the weekend with 23 points on eight assists and a team-high 15 goals. Her seven goals during conference play tied for second in the league and she ranked tied-for-ninth with 11 points. Seniors Michelle Ricketts (Rochester, Mich./Honeybaked) and Katie Snowden (Toronto, Ont./Willowdale Redwings) were joined by juniors Jen Clouthier (Aurora, Ill./Chicago Mission) and Devin McGuire (North Truro, Mass./Groton School) on the NCHA All-Academic Team. Ricketts and Snowden also earned the award last year. To be named to the team a player must have a cumulative 3.00 grade point average, have earned at least 50 semester or 75 quarter hours, and be recommended by her head coach.